Would like the many interpretive reports, the lessons, and other feature that are included in Pegasus but do not need the other features in Kepler and Sirius. Prefer this less expensive software that can be upgraded to Kepler or Sirius for an upgrade price. Want one or more the optional interpretive reports but do not need the additional features that are in Kepler and Sirius. Wish to have over 80,000 chart data and excellent research feature with the Research Option for Pegasus without having to purchase the more expensive Kepler or Sirius program, We sometimes refer to the combination of Pegasus with the Data & Research Option as the "Pegasus Research program". If you have software that you are already happy with but would like to have a huge collection of chart data and software features to explore this data, this can be a great option for you. Pegasus requires a computer with Windows (Version 10, 8, 7, Vista, or XP 32-bit or 64-bit) or a Mac computer with CrossOver Mac (available from www.CodeWeavers.com) installed. Planets can be calculated for the years 5000 BC to 5000 AD. except asteroids, hypothetical objects and minor planets can be calculated for a shorter time period. Many of these objects can be calculated back to about 1000 BC. Calculations are done with the Swiss Ephemeris and are very accurate. Pegasus includes an atlas with over 260,00 places. Pegasus has the same fabulously easy-to-use features as Kepler and Sirius for quick lookup of places. Pegasus also uses the same time zone and daylight saving time tables as Kepler and Sirius. These are our ultra-accurate tables compiled from many different sources and is updated regularly as countries change laws regarding the observance of daylight saving time. 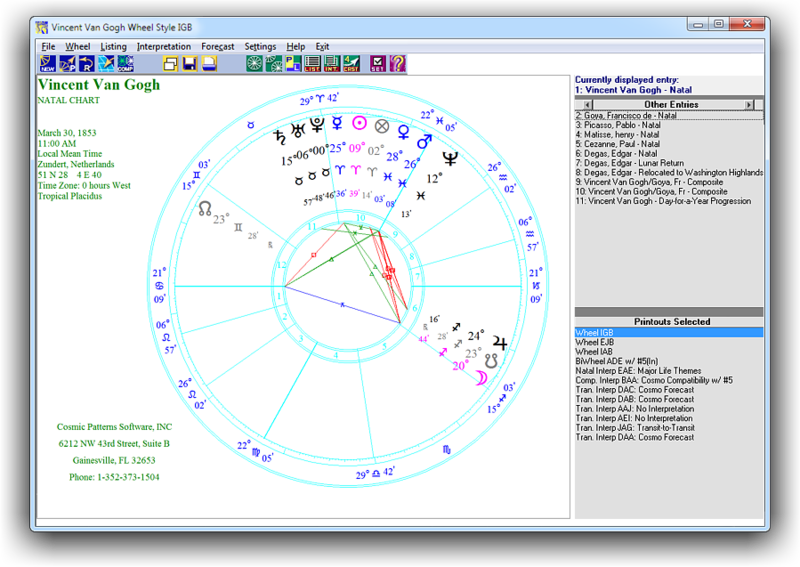 You can customize interpretations, there are many choices of house systems, tropical and sidereal, different wheel styles, etc. Pegasus does not have the vast number of options that the more expensive Kepler and Sirius programs have, but you do have the ability to customize many things. 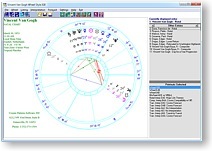 Progressions, solar returns, composite charts, interpretations, astrological lessons, and much more! Click the links on the left side to learn more.